Elizabeth Henstridge was cast as lead in 2012 The CW TV pilot Shelter, and co-starred in feature films The Thompsons, Gangs of Tooting Broadway, and Reach Me. On British television, she appeared on the soap opera Hollyoaks as Emily Alexander in 2011. 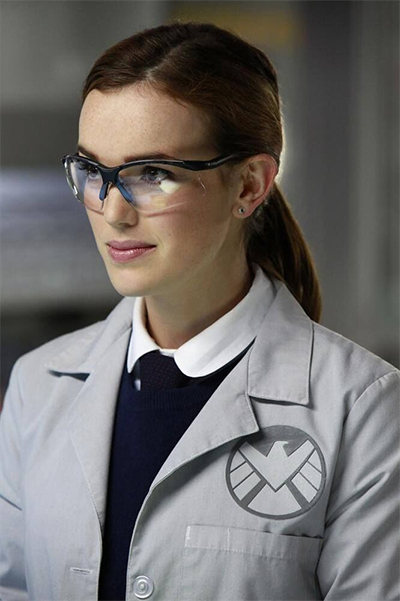 In November 2012, she was cast as Agent Jemma Simmons, a series regular character in Agents of S.H.I.E.L.D. In 2015, Henstridge starred in the critically acclaimed "4,722 Hours", the fifth episode of the third season of Agents of S.H.I.E.L.D. In contrast with the ensemble nature of the show, this episode contained none (except Iain De Caestecker) from the main cast and was centered around Henstridge's character alone. The episode received an overwhelmingly positive critical response, with praise going to its bottle episode nature and Henstridge's performance. The episode was named one of the best television episodes of 2015 by The Atlantic. In 2016, Henstridge was cast as Abigail Folger in the horror film Wolves at the Door, loosely based on the infamous Manson Family's murders. Henstridge will be appearing Saturday and Sunday only.